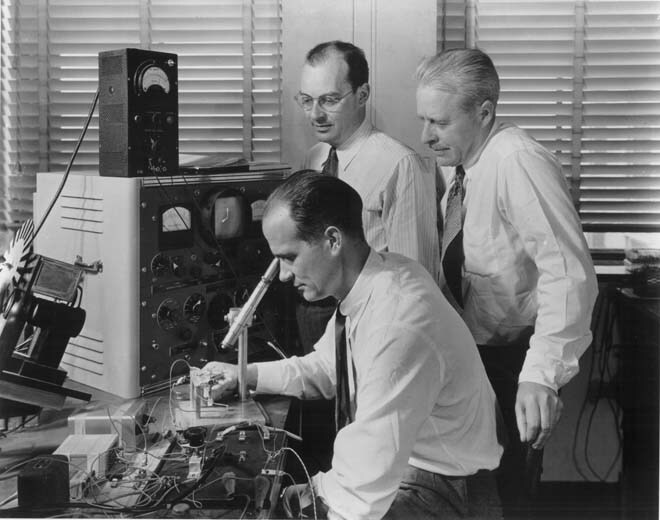 Murray Hill, NJ, 1953 – Sources report that a crack team in the secretive research and development branch of Bell Laboratories has been working to innovate a new type of racism that may change how racial discrimination works on a national level. “We can’t give you too many details, but we can tell you that it’s a revolutionary project. It definitely doesn’t have anything to do with a spectacular breakthrough in computing as we know it, but it will institutionalize racism for decades to come,” head scientist Milford Shockley declared. While much is still unknown about this project, which the media has dubbed `advanced racism,’ citizens are already speculating as to the nature of the new development, which is scheduled to hit America early next fall. Officials in the Government have recently become interested in the developments at Bell Labs as well, given that a breakthrough there might put Americans 10 – 20 years ahead of Soviet racism.